It’s true. Jesus must be Canadian. One of the things I have learned since I moved to Canada is that folks here never pass up an opportunity to spend time on a beach somewhere. Having spent almost 2 winters here, I totally get that. When we read about Jesus’s life and ministry, we find him hanging out on a beach a lot. I wonder what the Hebrew word for “eh?” is? I can remember a few times in my life when someone I respected said something to me that had a profound impact on my life. You know the kind of thing you never forget and you look back on and see how that moment shaped your future. I can just imagine Peter and Andrew sitting around a camp fire years later, maybe on this same beach, reminiscing about the past. Of course, you know this “fishers of men” moment had to come up from time to time. But I imagine Peter saying to Andrew, “Do you remember when Jesus just came up out of the blue and told us to go with him and he would make us fishers of men?” I bet they had a good laugh about that. They probably even did a little impersonation of Jesus. But then as conversations like this go, it probably turned serious at some point and they began to reflect on this concept that Jesus brought up…Fishers of Men. I can hear them talking about how they had no idea what that meant at the time but now having the benefit of watching Jesus for several years and witnessing his death, resurrection, and then ascension into heaven, they understood what it meant to be fishers of men. They probably began comparing fishing for fish and fishing for men. Both are lifestyles. If you are true fisherman (for fish or men) your life is consumed by it. Anyone who knows anything about fishing will tell you how multidimensional it is. I wish it were as simple as baiting a hook and pulling in a trophy trout. If it were that easy, I’d be on the river every weekend. No, fishing takes knowledge, guidance, success and failure, perseverance, discipline, planning, dedication, and the right equipment. All of this = a lifestyle. The same was true for Peter and Andrew as Jesus made them into fishers of men. Fishing is not only a lifestyle, it is hard work. It reminds me of the show on TV called “The Deadliest Catch”. There is nothing in me that would make me want to live at sea for months throwing out huge snow crab traps in the middle of stormy, freezing cold seas just hoping pulling them in after a few days with a few crabs. Trust me, I’m thankful those guys do it cuz I love me some snow crab but that just seems like really hard work for not much reward. As Peter and Andrew are sitting around the campfire having our imaginary conversation, I know they are reflecting on how unimaginably hard it is to be fishers of men. If this imaginary conversation is happening around 5 years after Christ’s crucifixion, they are most likely hiding for their lives because of the persecution they were facing. There is no question that in being called to be fishers of men, we are called to give ourselves away or sacrifice ourselves for the sake of the Kingdom of God. It’s hard work. It costs us. Jesus did it. The disciples did it. Many have done it before our generation. And we are called to do it too. But their conversation doesn’t stop there. Fishing may be hard work, but it’s rewarding. As a kid, I lived in Panama for a few years. My family owned a 15 foot boat with a 150 horse power Evenrude outboard engine on the back of it. We went out most Saturdays and fished for Peacock bass in the Panama Canal. The only other place you could find Peacock bass was the Amazon River. How those unique fish made it to the Panama Canal is another story for another blog but we caught at least 50 lbs of fish every time we went out. This is not a “fishing” story! No exaggeration! In those days there was no limit. This ruined me for fishing the rest of my life. I don’t like to fish, I like to catch. There is nothing like having a big 3 pound Peacock bass on the end of your line! Those suckers are fighters! I don’t have specific memories of staying up late getting the boat ready or getting up early in the morning and traveling to our spot on the Panama Canal and unloading the boat into the water, or of cleaning all those fish. In other words, I don’t remember the hard work. What I do remember is getting back to shore and getting those coolers of fish off the boat and lining them up on the dock for a picture. I remember the exhilaration on the way home as my dad and I talked about the day and our catch. As a fisher of men, there is nothing that gives me more joy than to see a life changed. Imagine Peter and John’s excitement as they talked about how God’s church had expanded exponentially since Jesus’s crucifixion. Jesus had made them fishers of men…and they were successful fishermen. 1. When life gets hard or we don’t seem to have direction, we naturally drift to what is comfortable. For me, it’s called Moose Tracks ice cream. Safeway makes it and it’s amazing! Thing is, when life and ministry gets tough, it’s okay to retreat sometimes to what’s comfortable. We need rest. We need healing. We need to recalibrate sometimes. Jesus did this and we can too. The key is, don’t stay there. Get back to fishing for men. 2. When we do things in our flesh, we get fleshly results. Most of the time, that is because we are focused on the results. Our focus should be on abiding in Christ. When that happens, the overflow of our heart will be the ministry that God desires for our lives. As is the case in this story, sometimes a simple Jesus directed change in what we are doing will make all the difference in the world. Be open to change or adjustment in your life and ministry. 3. Jesus calls us to be fishers of men. He takes care of the catching part. As summer rolls in here in Alberta, I am hoping to get the opportunity learn to fly fish. From what I have heard about that sport, I’ll enjoy every minute of fishing and if I actually get to catch something…well, that will be cool! Grady Watson was primarily responsible for teaching and the discipleship ministry at Bow Valley Baptist Church, Cochrane, Alberta, Canada. He became the Associate Pastor in August of 2010. Before that he served at Grandview Fellowship Church in southwest Houston, Tx. He is married to Kristie and has two adult children, Reid and Gracie. Grady is currently serving at First Grapevine Baptist, Grapevine, Texas (2017). 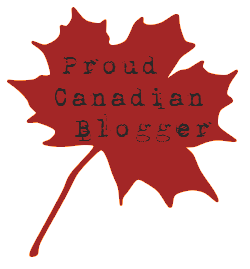 This entry was posted in Canadiana, Inspiration & Devotion and tagged Canadiana, Christianity, Devotion, Grady Watson, Inspiration & Devotion, Jesus Must Be Canadian, John 21:4-6, Matthew 4:18-20. Bookmark the permalink.